Vanessa Calderón-Rosado is chief executive of the nonprofit Inquilinos Boricuas en Acción. This year, Inquilinos Boricuas en Acción (Puerto Rican Tenants in Action) marks 50 years of helping Boston’s Latino residents improve their lives by providing affordable housing, along with education and arts programs. The nonprofit community development corporation began as a civil rights grass-roots movement helmed by Puerto Rican activists in the South End who fought against displacement resulting from late 1960s urban renewal. IBA then developed Villa Victoria (Victory Village), a 435-unit affordable housing complex in the South End, and later expanded by adding more affordable housing units in the South End, as well as an art gallery. Vanessa Calderón-Rosado, IBA’s chief executive, recently spoke about the organization’s mission to build “cross-cultural bridges,” and how her mother inspired her journey by going to college and having a career while raising her children. 1. 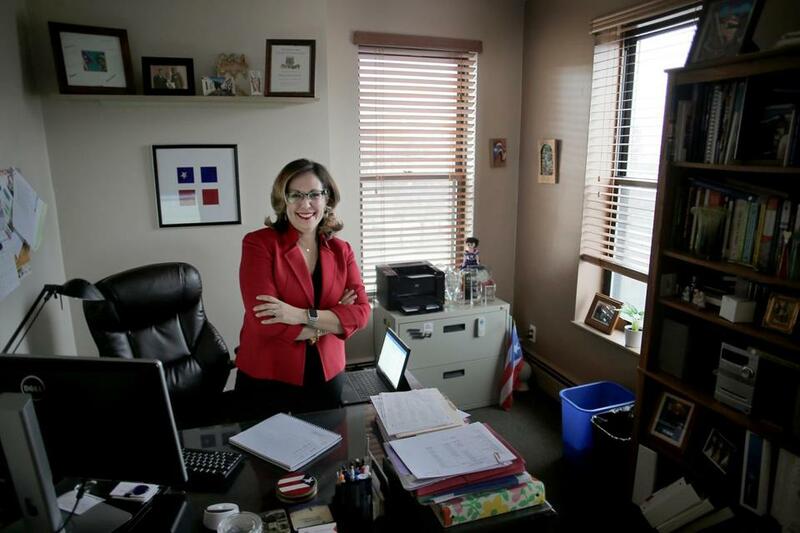 Born and raised in Puerto Rico, Calderón-Rosado, 53, moved to Massachusetts in 1992 to enroll in a public policy and aging PhD program at UMass Boston. She became interested in public policy while working at a Veterans Administration hospital in Puerto Rico, where she noticed that some Puerto Ricans did not have access to certain Medicaid services that veterans on the mainland received. She would go on to manage a multi-year research study for the Centers for Medicare and Medicaid Services under the administration of President George W. Bush, recommending policy changes to address disparities in cancer care for different ethnic groups and low-income communities. But she was frustrated by how long it took the government to implement policy recommendations. 2. When Calderón-Rosado came in as IBA’s director of operations in 2003, the organization was struggling financially. She helped strengthen its finances and programs, including one that prepares low-income young people for college and careers that won the 2016 National Arts and Humanities Youth Program Award. She also continued to use IBA’s arts programs, including its gallery and the popular annual cultural celebration Festival Betances in the South End, as an invitation for other Boston residents to learn more about different cultures. 3. The devastation in Puerto Rico caused by Hurricane Maria in September had a direct impact on IBA and residents of Villa Victoria, who mostly are of Puerto Rican descent. Calderón-Rosado, who also has family in Puerto Rico, was named one of the chairs of the Massachusetts United for Puerto Rico Fund established by the Boston Foundation and the Latino Legacy Fund. To date, the fund has received more than $3 million in grants and pledges. In response to the influx of Puerto Ricans coming to Massachusetts — many staying with family members at Villa Victoria — IBA extended the two-week restriction on visitors to six months to give displaced families time to look for housing and jobs, Calderón-Rosado said. 4. One of Calderón-Rosado’s sources of inspiration is her mother, who refused to adhere to cultural and societal pressures of the time that called on women to sacrifice careers to get married and raise children. Against her father’s wishes, Calderón-Rosado’s mother went to college to become a nurse. 5. Following in her mother’s footsteps, Calderón-Rosado’s first job was at a pediatrician’s office when she was about 16 years old. She had her eyes set on being a pediatrician and took the initiative to ask for a part-time internship, getting paid around $2.25 an hour. She worked there until she went to college, taking on more responsibilities each year — from answering the phones to interacting with patients to eventually assisting the doctor during consultations with families.